Hemp oil is exquisite oil with delicious nutty flavor and the best fatty acid pattern of all edible oils. The essential omega-3 and omega-6 fatty acids in hemp oil are present in the optimal ratio of one to three. Also in hemp oil are found the rare anti-inflammatory gamma-linolenic acid, so that hemp oil is not only suitable as gourmet oil but just as externally for skin care – especially in skin problems such as eczema. For the production of high-quality hemp oil, it is used the cold press technology. The result of products is an oil approximately of green color. The green comes from chlorophyll, the golden glow of the carotenoids contained in hemp oil. Beta-carotene is the precursor of vitamin A, which is extremely valuable for the eye health and also ensures velvety skin and mucous membranes healthy. 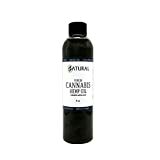 Natural hemp oil also provides – like all oils – the antioxidant vitamin E and various highly effective phytochemicals. High values for similar also to other vegetable oils, such as safflower oil, poppy-seed oil, or grapeseed oil. But all of these oils are not nearly as healthy as the hemp oil. 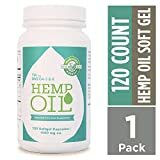 So what makes the hemp oil to such extraordinary and unique oil? To the group of polyunsaturated fatty acids include Omega-3 fatty acids (in particular alpha-linolenic acid) and Omega-6 fatty acids. These two fatty acids cannot be formed by the human organism. They are therefore essential fatty acids. This serious excess of linoleic acid leads to two problems: Firstly, the linoleic acid (omega 6) in the body for inflammatory arachidonic acid to be converted, which can promote the development of all diseases associated with chronic inflammatory processes (eg arthritis. , periodontal disease, inflammatory bowel disease, but also multiple sclerosis, diabetes, arteriosclerosis, etc.). Gamma-linolenic acid also helps with hormonal disorders (eg. As PMS or menopause) and restores a harmonious hormonal system. In addition, it is known since a study from the 1990s, that the gamma-linolenic acid has a hypotensive effect. Hemp oil is one of the few oils containing gamma-linolenic acid, namely from 2 to 4%. Compared to other oils and the hemp seed oil also tastes very finely, so that it is much better suited to supply the gamma-linolenic acid. For the treatment of the above cases, the hemp oil can be used both internally and externally. For sensitive and stressed skin or inflammatory skin problems, it serves as rapidly Feeding Body Oil with itch-relieving and calming effect. Commonly the consumption of oily fish for omega-3 fatty acids is recommended nowadays. Sea fish is, however, today is often charged with environmental toxins and heavy metals so that frequent consumption seems to make no sense. Hemp oil is an ecologically sound, versatile and extremely healthy solution here. For vegan and vegetarian living people, it doesn’t come question the use of fish for the purpose to cover the Omega-3 fatty acid, so that here the hemp oil provides a wonderfully savory and vegetable Omega-3 source. In the kitchen, hemp oil can be used like any other oil; its ideal field of application is cold food. It’s nutty herbal note therefore ideally suited to salads, raw sauerkraut, dips and much more. Even cooked food can be flavored with hemp oil. To this are added the hemp oil just after the cooking process through the courts. For roasting the hemp oil is not suitable, however, because his valuable fatty acids would be damaged at the latest at 165 degrees Celsius. The ideal would be eating every day about 1 to 2 tablespoons of hemp oil from organic production.